The H4C289 Deluxe Combo has everything your customers need. 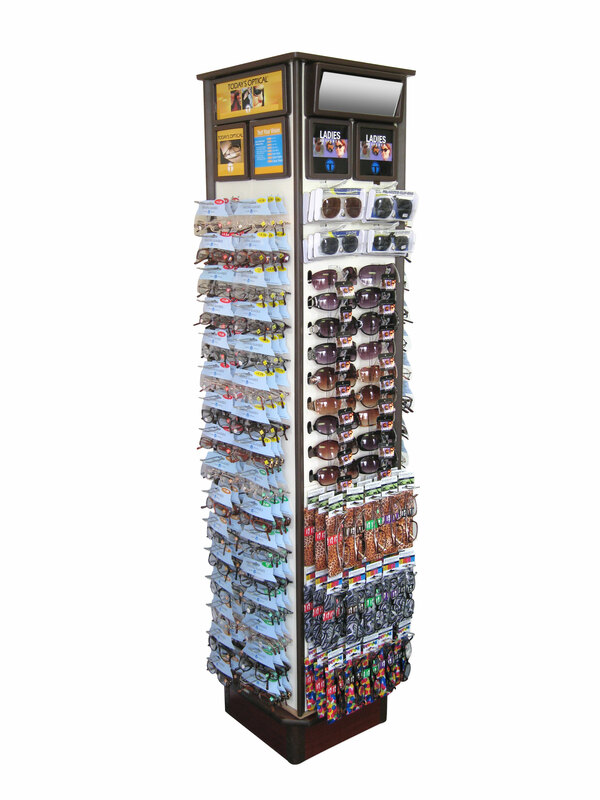 This display comes complete with a full array of reading glasses, sun glasses and accessories. All this variety is packed on a rotating four-sided display with a foot print no larger than a gum ball machine. All this value, variety and convenience makes the H4C289 Combo Today’s Optical most popular model.